This West Virginia cabin, Over the Hill, sleeps 6 in privacy and comfort. Over The Hill is exactly what a cabin in the woods should be. Over The Hill is situated in the forest on a rock outcropping with a state of the art Hot Tub on the deck in the treetops. That’s right. A hot tub in the trees. Cool. There are a lot of other cool things about Over The Hill. The design is a favorite of longtime guests. It’s comfortable, secluded getaway in the West Virginia mountains. It’s called Over The Hill because the first ideas and drawings were created on my 40th birthday. The unique design makes the most of the space we created. We really enjoyed designing and building this timber frame cabin, and we’re sure you’ll enjoy Over The Hill, too. The cabin actually is built mostly over a hill. You can really tell when you walk out on the back deck and you’re up in the trees. As a nature lover, there’s not much that beats hanging out in the hot tub up in the forest canopy. This Cabin starts at the prices listed on the availability calendar at the upper right hand corner of this page based on availability. Prices include up to 4 adults. Each additional adult is 20.00 per person per night. Children 12 and under are free (1 per paying adult). We do have a three night minimum from Memorial day through Bridge day. Sometimes other reservations leave one and two night holes. Please check with us for availability. 1. Is the Over the Hill fireplace woodburning? 2. How much is this cabin for the Labor Day weekend, Fri-Sun night? Thanks for the questions. all of our fireplaces are propane gas. for up to 4 adults the rate for Labor day Weekend is 300.00 per night. Do any of your cabins with two bedrooms have twin beds in one of the rooms instead of full/queen? How far are you from an outfitters for the New River rafting. Yes all the Cabins have basic cable. We have several different styles of Cabins for two to Twenty people. Most beds are Queen size with some Twins in the bunk rooms. You can see details on each cabin on our home page or give us a call with any questions. Yes and thank you for your service! 10% off anytime and on Veterans Day we give free cabins to veterans. We next to the New River Gorge National River know for its Rafting, Rock Climbing and Mountain Biking. Also great for Hiking, Fishing, Golf and Locally owned Restaurants. We do allow a well behaved travel savvy pet with a $25 fee per day. I’m a veteran. 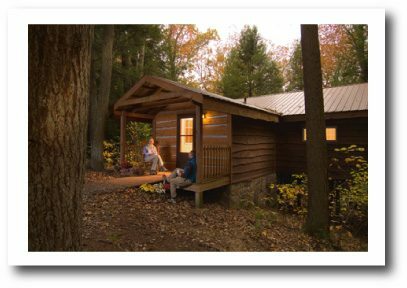 Is your Veterans Day free cabin by a drawing or….? Id love to stay in one of your cabins again. We will be releasing this years offer soon. First we send it to people who receive our newsletter then the blog and then facebook. Make sure you are on at least one of those lists. Thank you for your service. We’ve stayed in both Cabin 3 and Over the Hill. Both are very clean and well appointed. Small, personal touches add to an already great experience. We’re always excited to arrive and never want to leave to go back to the “real world”. If you’re looking for a relaxing or romantic getaway, look no further!! The cabins are nestled in the woods, and have private outdoor hot tubs. Can’t wait for our next visit. Thanks to Geoff for making us feel so welcome and comfortable!!! Y’all are awesome…see you soon!!! A hidden gem!!! Cabins start as low as $160 per night when staying 7 nights. Please let us know if you have any questions. Just wondering how many bathrooms are there? Over The Hill has one bath. After waiting to get in the bathroom while a special someone showered I decide to put them each in their own rooms. The shower is in one and the sink and toilet are in the other. I did not mean to make a reservation. I was making an inquiry about the OTH cabin. Please respond at your convenience! Thank you! We will be honeymooning in July and we were thinking about coming down to West Virginia for adventure! The hot tub is outside for the over the hill cabin and we were wondering how bad the mosquitoes are at the end of July? I know this sounds strange, we hardly have any mosquitoes. Yes a few but mostly springtime and just at dusk. We have other Cabins that have screened porches if you prefer. Where is this located. How close to Bluefild west virginia? Hello We are just north of the New River Gorge Bridge. This is about an hour from Bluefield. Hi there! I’m looking for a nice, PRIVATE place for my husband and I to celebrate our 22 wedding anniversary. By private, I mean I want it to be at least as private as where we live–we cannot see any neighbors nor hear any road noises. We like to stay in cabins in which we cannot see any other cabins or houses. Would Over the Hill meet that criteria? Would any of your other cabins meet that as well? Thank you! We have a very private setting. You will see other cabins on the way in but wont notice them once in the cabin. I sent you an email too. Please let us know if you have any questions. Good morning! We own Lil’Bit of Heaven Cupcakes and are coming to your area to provide Cupcakes for a Wedding on July 2. Do you have any two night openings for the 2nd and 3rd? 3 guests, two bedrooms if possible. Thank you so much! Hello Cup Cake Lady. Did you get an email follow up about your questions? Yes we have Gift Cards just give us a call and we will help you out. Are the units non smoking? The Nearest Grocery store is our local Piggly Wiggly less than 5 minutes away. If you want more we have a Kroger and A wmart about 10 minutes away. All the cabins are non smoking. I have sent you an e-mail. Thank you for checking us out. This is Erin Wilburn’s mom! I want to reserve Over the hill for her wedding! I will be coming in on Thursday, October 12th and leaving Sunday, October 15th. Can you give me a call at 336-429-1411 or email me! Thanks! Check in is anytime after 4pm and checkout is by 11am. How do I book this cabin for 4-14 to 4-16? Hi there, I made a reservation for this cabin next week end, you told me you’d send a confirmation email, it’s been a week, I have not received it. I called and left my phone number and email address again, have not heard from you, should I worry about that? No need to be worried. I had your e-mail written wrong. re-sending now. Are any of your cabins pet friendly? Thank you for your inquiry. Yes all of our cabins are pet friendly. There is a 25$ per day, per pet fee. Please let me know if you have any other questions and I will be happy to help. We’ve stayed with you in the past and we are planning a family vacation for this summer. Which cabin or cabin combination allow for the most people? I’ve sent you an email in response to your request. No, Over The Hill does not have a TV in the bedrooms only in the living room. None of our cabins have TV’s in the Bedrooms. I read that “over the hill “ can sleep 6, however I only see 2 queen beds. There are four people but , one couple and two adults. Hello, we took the sleeper sofa out of Over The Hill so it really only sleeps, 4 adults. Do you recall where it said sleeps 6 I must have missed that when changing the info. Looking for a romantic, secluded cabin for my husband & I fri and sat Jan 25-26 leave on Sunday..I seem to be impressed with “over the hill”… can you give me rates and availability please ? Hello, I apologize for the slow reply.We have winter rates available then and I will send you an Email with the details. We allow a well-behaved travel savvy pet. There is normally a $25 per day fee. Rocky sounds like a perfect guest.